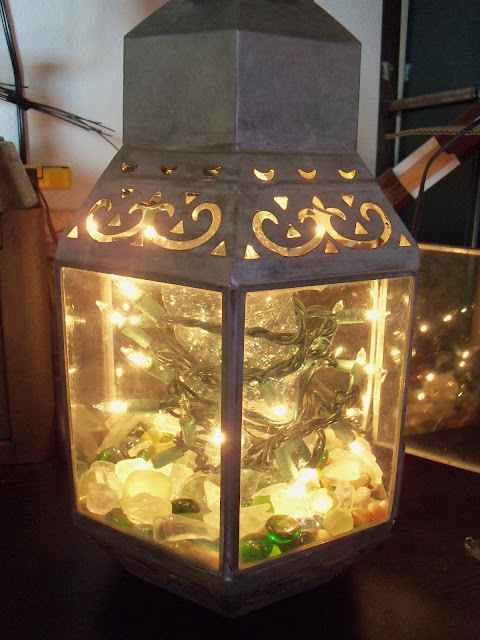 I named and renamed this post and finally settled on "Wax Paper Frosted Glass Twinkle Lantern," because nothing else was quite descriptive enough or told how easy this project turned out to be. Also, looks awesome! 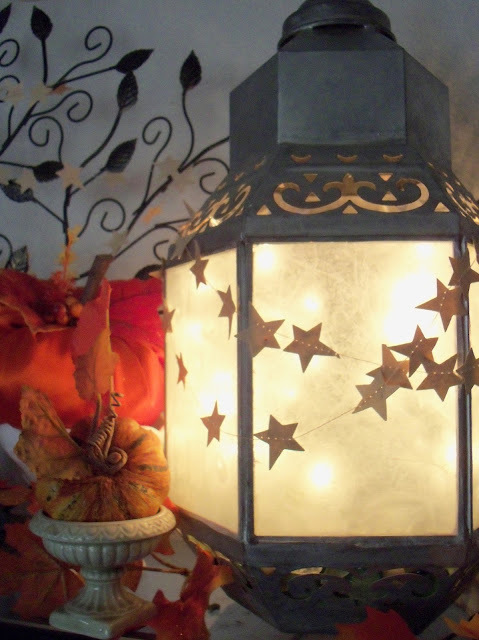 I've seen lots of lights on Pinterest using garden lanterns and Christmas lights and they look deceptively simple. 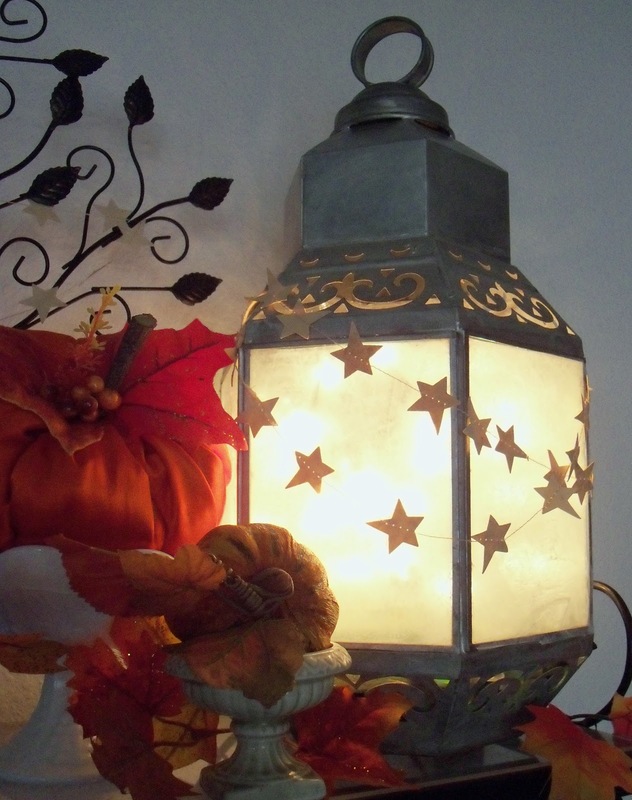 My first try was no good, with a snarl of wires and lights stuffed inside my Pier 1 lantern. I didn't like it. Looked messy. I figured the light string needed some structure, so I wrapped it around a textured plastic water bottle and tried that. Twinkly, yes, but you can totally see the wires and lights and bottle. Me no like this, either! 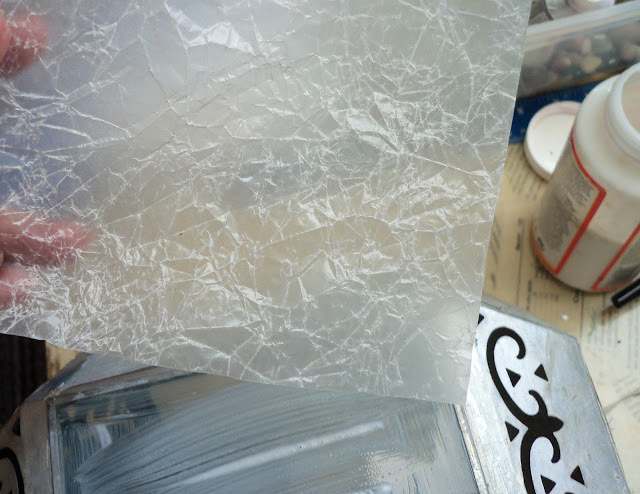 I thought that crinkled plastic would diffuse the lights but that just looked dumb. Kind of like crinkled plastic stuffed inside a lantern. Nope. 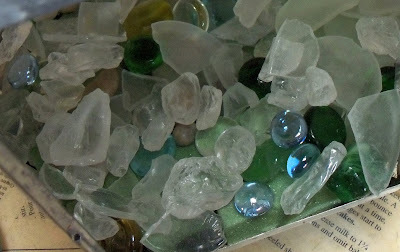 Checking out my stash I found some pretty frosted sea glass and half marbles and my trusty E-6000 jewelry glue, but that would have taken too long to dry and the glue is smelly and the weather is too nasty to do it outside. No go. Here's what I came up with. Good old Mod Podge and crinkled wax paper. 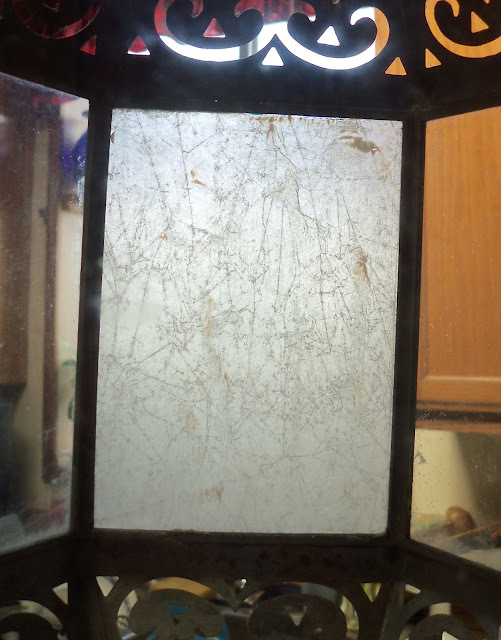 I did the first lantern pane and held it up to the window light. Score! 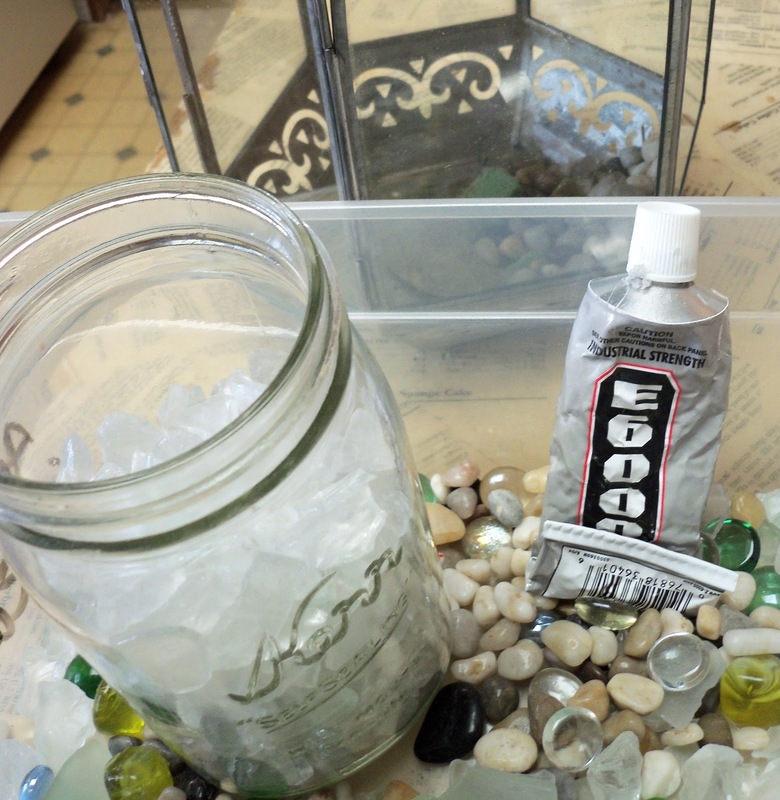 A soft frosted glass look using stuff I already had in my stash. Plus, a little effort and time. Lickety split the whole lantern was done! I LOVE how this came out! A nice twinkly glow that makes my Autumn baker's rack look pretty in the soft light. 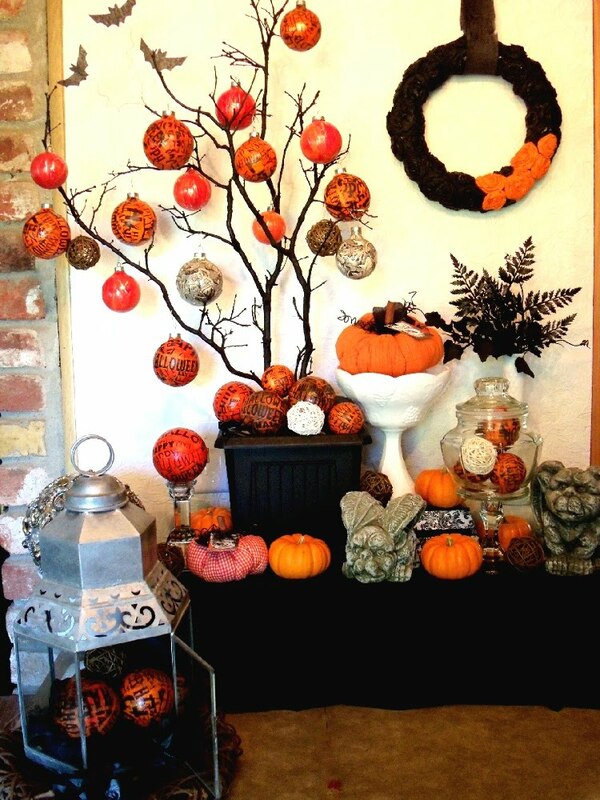 I added one of my primitive star garlands and just smiled and smiled. A quick, easy and CHEAP project that came in almost exactly like I'd envisioned it. That's a win win in my book! And the best part is that I have THREE more lanterns. 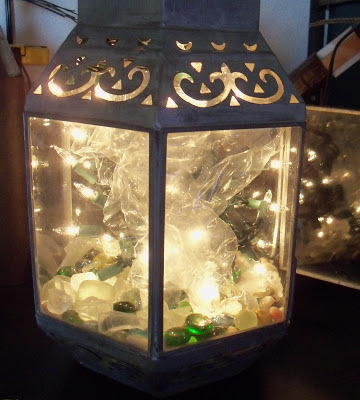 So I'll be buying some of those cheap $1 strings of Christmas light strings at Wal mart and making more of these twinkly lanterns. 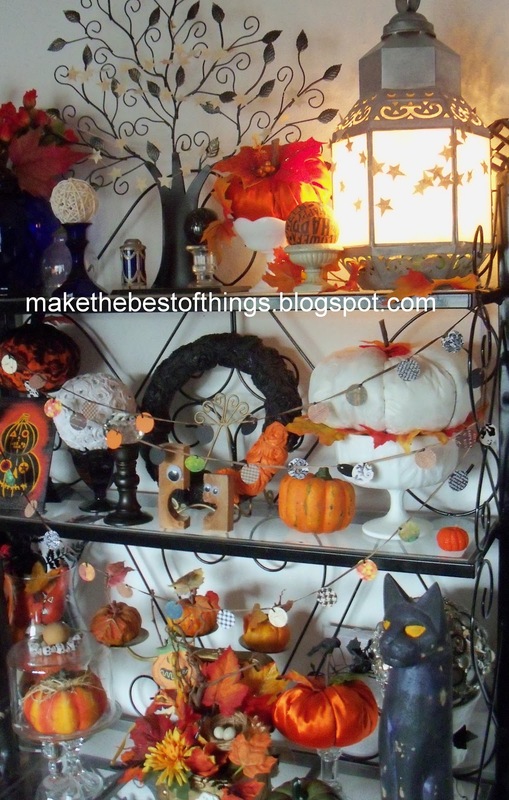 I can use these all year long and if I invest in some outdoor Mod Podge, they can light up my front deck. Totally love that. I'll be linking up to the parties in my side bar. Come visit and check out all the cleverness and creativity. See you there! I love it great job. Oh my gosh! That is just gorgeous! Good for you for sticking with it and figuring out what works best!! I love the wax paper and stars!! Fabulous idea. Pinned it:) There is a post with wax paper as gift wrap too! Following you via google and liked your Facebook page. Follow and like me too at www.sewsweetvintage.com I posted "crafty clothes pin" to the Home maker on a dime party! WOW! This is absolutely gorgeous!! Following now! I just bought an old porch lantern that I've taken all apart and repainted. Now I know what else to do with it! I love our ReStore, bought it for $3.50! 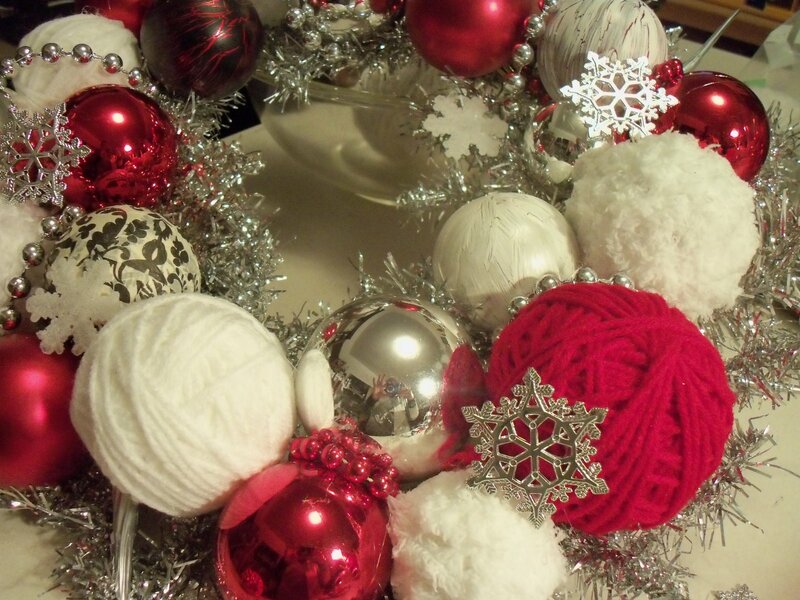 You have the most amazing crafts! (and a new follower). I am not really a crafty person, but now that I have found your blog, I think I might become one~~you make it look so easy, and I love your projects, this lantern is wonderful! Those glass lanterns look amazing. I have been buying a lot lately now that it's summer time and I can hang them outside will we sit there. These would look so good with all the accessories I have. Lanterns are usually box-shaped with glass sides for the light to come out and illuminate the surroundings. Learn how outdoor hanging lanterns can add a charm to your gardens. Life! Aargh! But I'll take it.